As a company, Greenworks has built a reputation for their cordless yard tools. 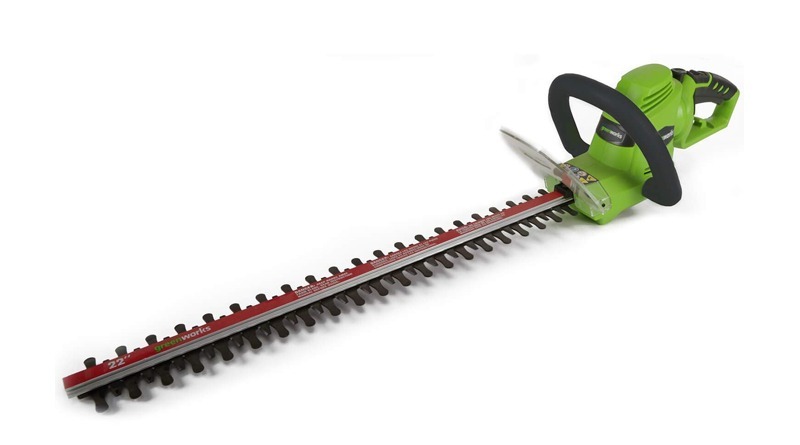 As such the Greenworks 22122 Electric Corded Hedge Trimmer is a bit of outlier product wise for the company. Despite being one of only a handful of products produced with a cord rather than a battery this trimmer stacks up well with similar products and would meet the needs of many consumers. This Greenworks trimmer has a 4-amp motor allowing for 3200 strokes per minute of cutting power. The 4-amp motor is on the larger end for similar trimmers. This larger motor comes with a cost though. The Greenworks 4-amp trimmer weighs in at 8.1 lbs which is almost 2 lbs heavier than similar models available. 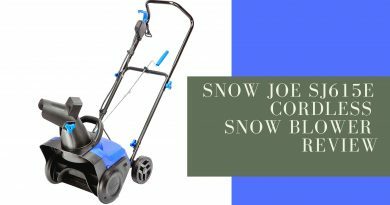 This trimmer has several features which will make maintaining your yard easier. To start, the trimmer has dual rotating steel blades. The dual nature decreases vibration making your trim job less physically demanding thus decreasing hand, arm, and chest strain. The steel blades are also durable and long lasting – even the most unaccomplished grounds keepers among us would find it difficult to break steel on a difficult piece of hedge. The Greenworks 4-amp trimmer also features a rotating rear handle and a padded front handle. The rear handle rotates allowing you to easily trim at a variety of angles ranging from completely horizontal to completely vertical and everywhere in-between. The front handle is padded for comfort and wraps 180 degrees. In addition to padding, both handles feature ergonomic design to decrease strain. This allows for easy placement and movement of the front hand when rotating the rear handle. The feature would be key to property owners with a variety of hedges. 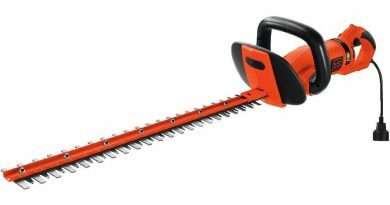 For example, this trimmer would prove particularly use for a home with large fat ornamental shrubs as well as tall privacy hedges. The ability to easily cut horizontally and vertically allows for easy trimming of both varieties of hedges. After ensuring sufficient power for your needs, safety features are often the next most important priority for consumers. This Greenworks model has two key safety features. First, the trimmer does not lock on. You must maintain pressure on the power button at all times while trimming. This auto off button decrease the risk of accidental injury during use. The trimmer also has a guard in place to help prevent debris from flying back and hitting the user. While the guard is a standard feature for a trimmer, a visual comparison of this model versus other similar trimmers shows that their guard appears smaller in area. This model must be connected to an electric source to operate. Unlike the other Greenworks trimmers it has no battery capacity. This lack could create real problems for some homeowners. For example, if your property does not electric outlets near the growth to be trimmed you will need to deal with large lengths of cord. For property owners with significant land, this could prove particularly problematic as you would be unable to safely run an extension cord long distances. As a reminder, corded hedge trimmers do not typically come with their own cord. This Greenworks trimmer is no exception. In order for the trimmer to function, the owner must provide the appropriate length and gauge extension cord. The Greenworks 4-amp trimmer requires a 16-gauge extension cord to function. It is important to use the appropriate gauge and length cord to maximize safety. The handle of this trimmer features a cord lock mechanism to ensure the trimmer does not come unplugged while trimming. Greenworks products come with a 4-year warranty and a 90-day return policy. This 4-year warranty is double the industry standard. The 90-day return policy is also generous with most similar models featuring a 30-day return policy. The company also provides user friendly support. Their website offers easy access replacement parts. In addition, customer service is available via phone or email. As with any purchase, there is no perfect hedge trimmer. But there is a perfect hedge trimmer for you and your needs. When evaluating here are some pluses and minuses for the Greenworks trimmer. This trimmer has a 4-year warranty which is double the standard warranty for tools of this type. The Greenworks trimmer has dual blades which cuts on vibration and increases performance. 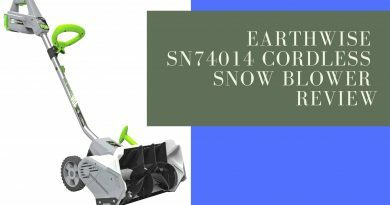 The 22-inch blade is longer than other models and allows for faster work over a large area. The rear handle rotates allowing for more comfortable hand positioning while trimming from different angles. Cord lock prevents unintended power disruption. This unit is close to 2 lbs heavier than other similar units. During a big job those extra two pounds will make a difference in user comfort. 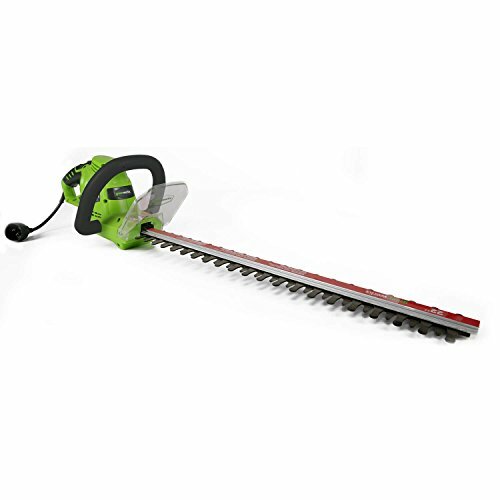 The Greenworks trimmer cuts a smaller diameter branch than similar cutters. While their own website offers two different cutting abilities (5/8 and ¾ in), upon our review we learned that for easy and clean cutting it is best to stick to branches under ½ inch. Unlike some larger companies, Greenworks does not have dealers for in-person customer service. The trimmer lacks a power lock on switch, so you must depress power button during use. This trimmer is currently manufactured in China. With an above average warranty and an at or below average price, the Greenworks 22122 Electric Corded Hedge Trimmer should make any consumers short list when purchasing a new hedge trimmer. 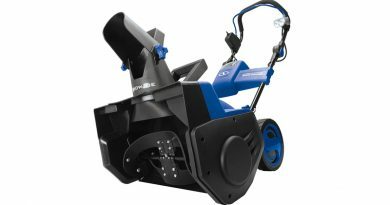 The large cutting surface and rotating handles will make it easy to trim large vegetation from a variety of angles. On the downside, this trimmer does not cut particularly thick branches. 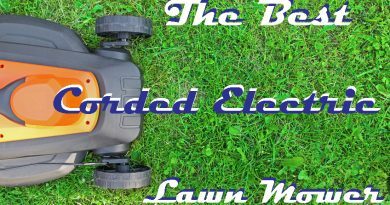 With proper outdoor electricity access, this trimmer will meet the needs of the average urban or suburban homeowner with no problem. Homeowners with more property or vegetation with thicker branches may encounter some issues though and should access accordingly before making a purchase.